Mother of Groom Bangle, Wedding Bangle, Gift for Mom, Gift from Son, Gifts from Groom, Wedding Keepsake Gift, Parent Gift. 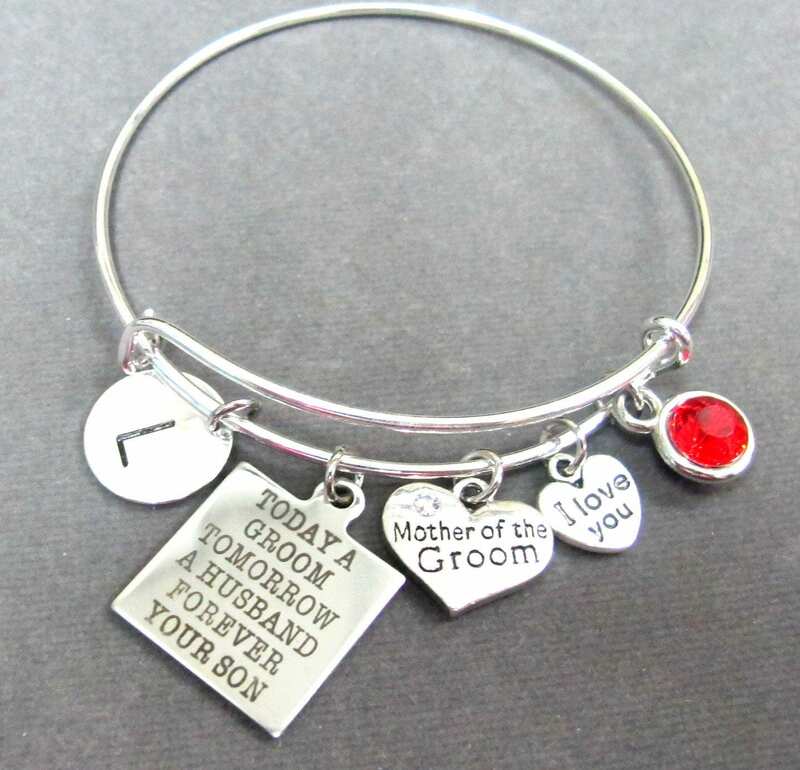 This is a Mother of the Groom bangle bracelet which is personalized with a letter charm and her birthstone - "Today a Groom Tomorrow a Husband Forever your Son - a wonderful gift to tell your mother that no matter what She will always be loved. An Inspirational Quote Bracelet makes a great wedding keepsake memento. 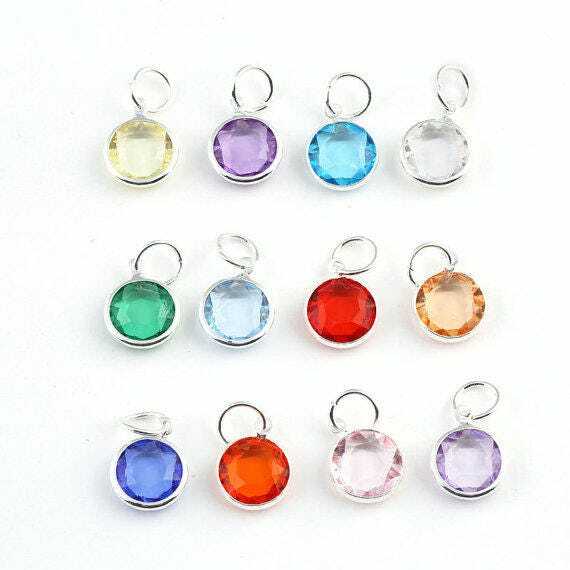 Please Choose the Initial and Birthstone from the drop down. Thank You! love the bracelets she makes! Looks just like I was planning! Cannot wait to give it as a gift!